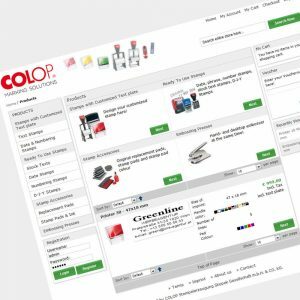 The COLOP StampShop is an online shop with product listing, shopping basket and ordering facilities with the COLOP Creator embedded, to create product personalisations online. 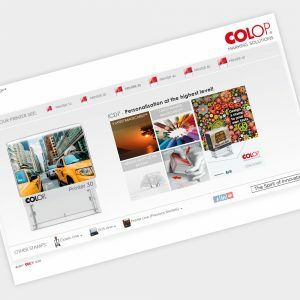 The COLOP "Creator®" is an online tool for easy and quick designing of product personalizations, developed to be integrated into existing systems and online shops. The COLOP Multi StampMaker Shop is a regular StampShop with the selection of a specific Rubberstampmaker in the checkout process. The COLOP Multi StampMaker Shop will be managed by distribution partner. 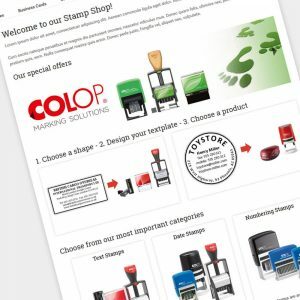 The COLOP OnlineVoucher is a solution to design and order online textplates for stamp casings + vouchers sold offline. Easy to understand, simple to order and convenient usability. 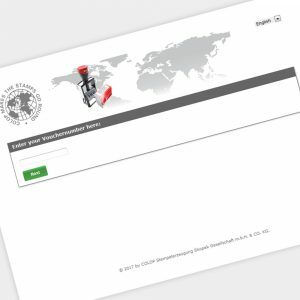 The COLOP Large Account is an online order solution providing a specific range of predefined stamps and textplates. Whether a stamp maker wants to place his own logo or his customer’s logo on the stamp, or whether he would recommend this option even to his customers - a personalized Imagecard makes more out of a COLOP stamp! With the modified Imagecard Designer COLOP offers a tool which allows designing Imagecards for Printer, Classic and EOS stamp models quickly and easily. COLOP offers band stamps with special characters.In order to facilitate your order process, we have prepared a special online-order form which is available at the link shown above. 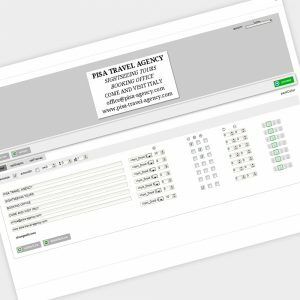 This self-explanatory form is easy to use and helps avoiding misunderstandings and placing wrong orders. Furthermore you can provide this order form to your customers.